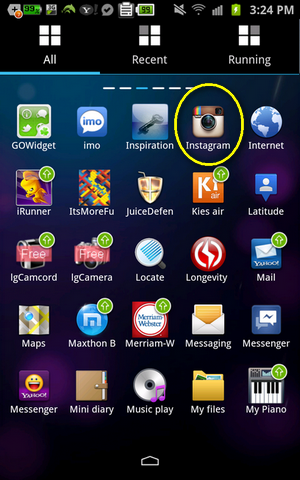 Instagram, the popular photo-sharing application for iOS, is now also officially available for Android smartphones and tablets -- to the chagrin, perhaps, of some iPhone users. 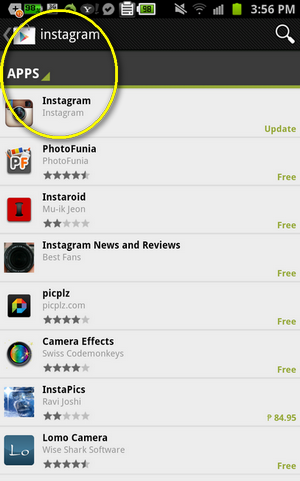 To get it, all you have to do is to open Google Play Store app on your Android device, search for "Instagram", look for the desired official application, download and install. 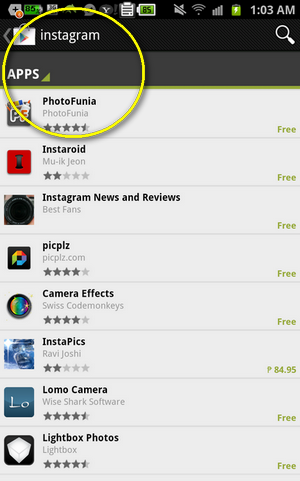 Note: Instagram for Android does not support most entry-level Android phones including the popular Samsung Galaxy Y. 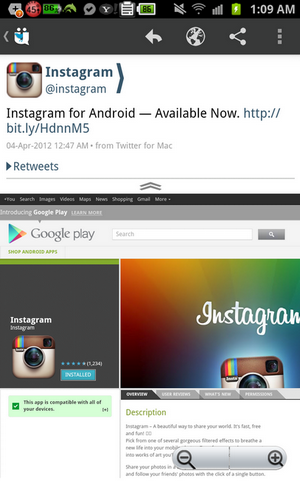 Apparently, Instagram uses OpenGL 2.2 and SGY - like other entry-level Android handsets and older models - comes with only OpenGL 1.1. Easy right? Interestingly though, it wasn't always that way. 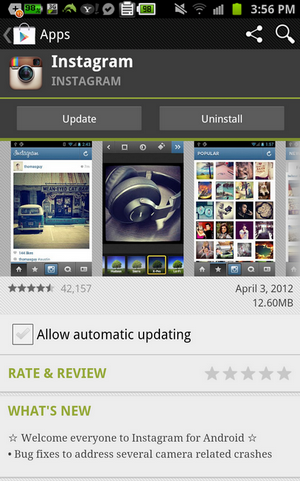 When Instagram for Android first went live last night, I had to download it straight from Google Play Store website as I couldn't find it in the app version. Well, anyway. Everything's cool now; They've fixed the issue. I've been playing with my Instagram account (, which I opened via my iPhone last year) on my Samsung Galaxy Note since early this morning and I've taken the liberty of recording a short video to show you how it looks on the Android phone. If you will, check it out.